It’s a new name and with it, a new game, or so they say. 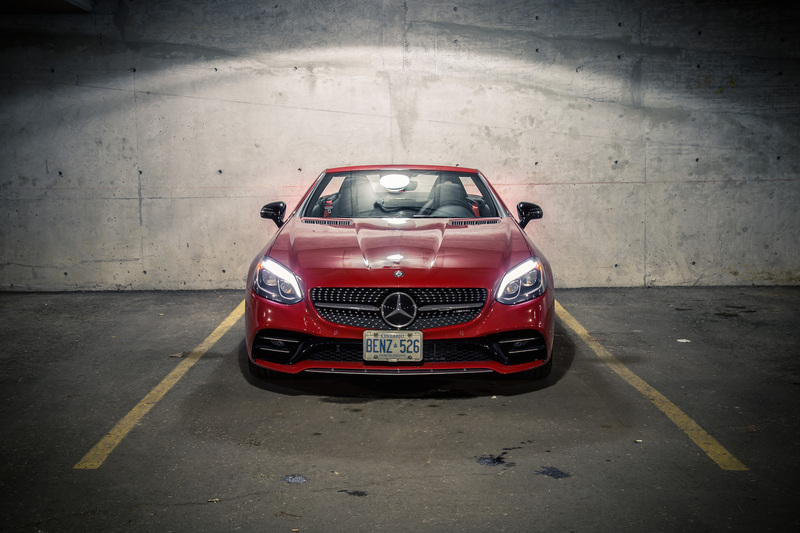 Gone is the famed SLK nameplate and in its replacement is the SLC, the C denoting that it shares most of its tech with the C-Class. Though the moniker has changed, most of the SLC’s chassis hasn’t. Instead for 2017, Mercedes-Benz’s compact two-seater roadster receives a minor refresh with updated styling, a new engine, and a new 9-speed automatic transmission. 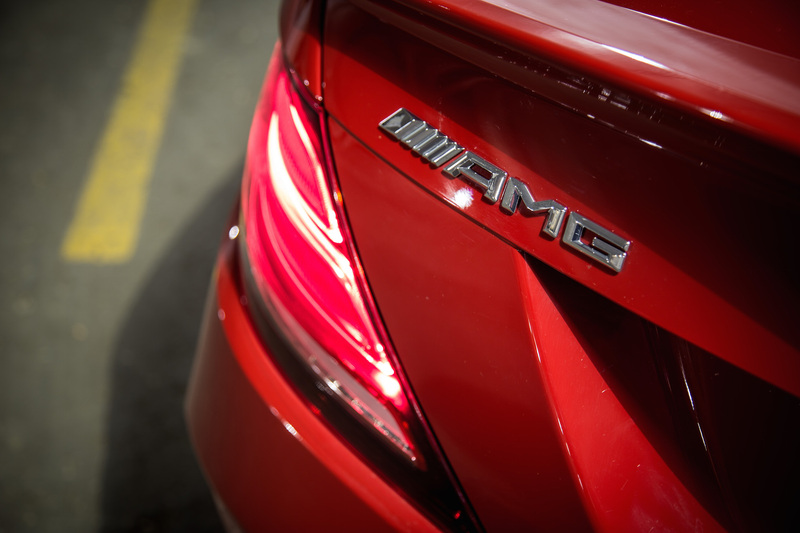 The most noticeable changes are the new LED head- and taillights that fall in line with Mercedes-Benz’s modern design language, while larger air inlets, a redesigned front bumper, a rear spoiler, and an alluring diamond grill completes the subtle nip and tuck. 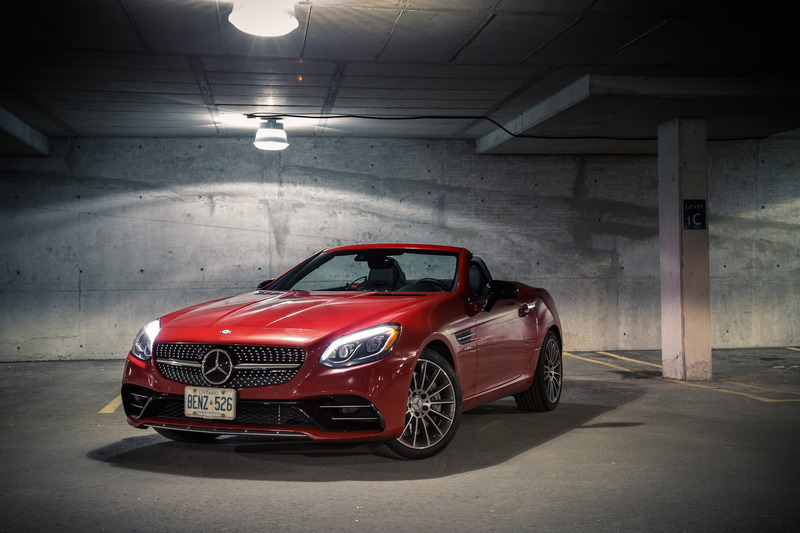 The revamp doesn’t appear as manly as the outgoing model – a touch more estrogen went into this one – but who can complain when its beautiful and balanced proportions make it look like a mini-SL roadster. Much to my dismay however is how the exhaust pipes have now been integrated into the rear bumper for a flush design, which is a shame because I loved the outgoing SLK 55’s quad exhausts that protruded out like a pair of engorged storm drains. The renovated interior is a mixed bag of old and new. The SLC receives a revised steering wheel, which is chunky and concaved (we still like the old one better), but the center stack remains untouched – it’s still the logistical array of keyboard buttons, dials, and fans plucked straight out of the SLS AMG. The instruments have also been updated, along with fresh panel trims and a larger integrated media display and interface – I prefer this one over the pop-out units found in Mercedes-Benz’s newer models like the GLE. Apple CarPlay is compatible but there’s no luck for Android phones. 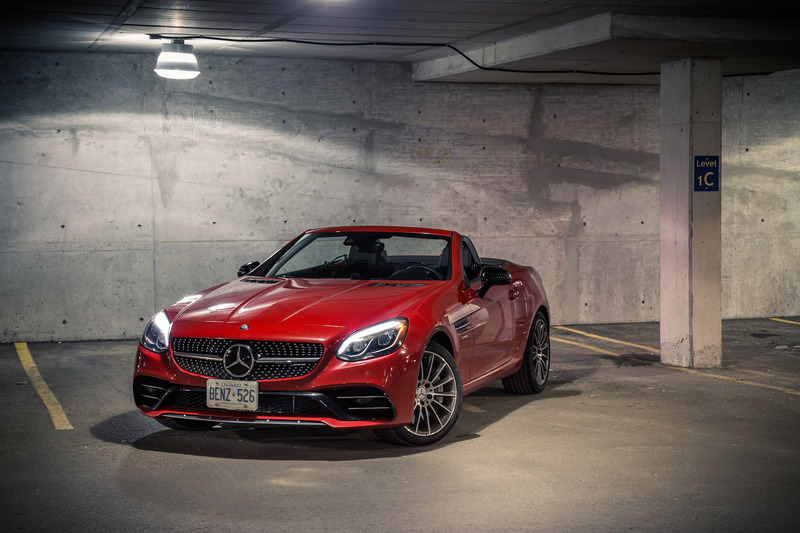 Dwindling down to two models – SLC 300 and SLC 43 – means that the howling 5.5-litre V8 SLK 55 AMG is no more. Filling in its shoes is the “AMG-lite” version, the SLC 43, which now comes with a 3.0-litre twin-turbo V6 that we first tested in the GLE 450 a few months back. This one develops 362 hp and 384 lb-ft of torque from as low as 2,000 rpm but is down 53 hp and 14 lb-ft compared to the outgoing V8. Despite the deletion of two cylinders and the addition of forced induction, power delivery from the new V6 feels smoother and more immediate. The V6 hustles up to speed but it doesn’t rev nearly as hard, as high, or as loud, so you will spend most of your time hovering in the low RPM range. The subsequent kick back to the seat is rewarding nonetheless. 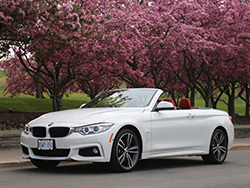 The new 9-speed transmission that replaces the old 7-speed is a darling. Nine cogs may seem like overkill, but the SLC has it tuned so that each gear has a purpose, and it also benefits fuel economy. Shifts are seamless and as quick as a dual-clutch, and the gearbox is smart enough that I never have to resort to manual shifting with the paddles. 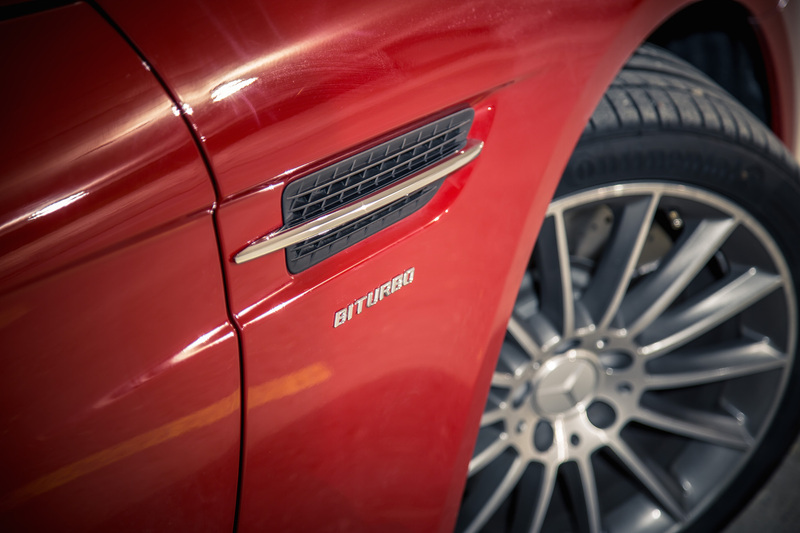 It also comes with a start stop function to switch off the engine when idling to conserve fuel. While we dearly miss the belligerent roar of the V8, the new “43” engine delivers a convincing and more mellifluous song that pleases our ears. 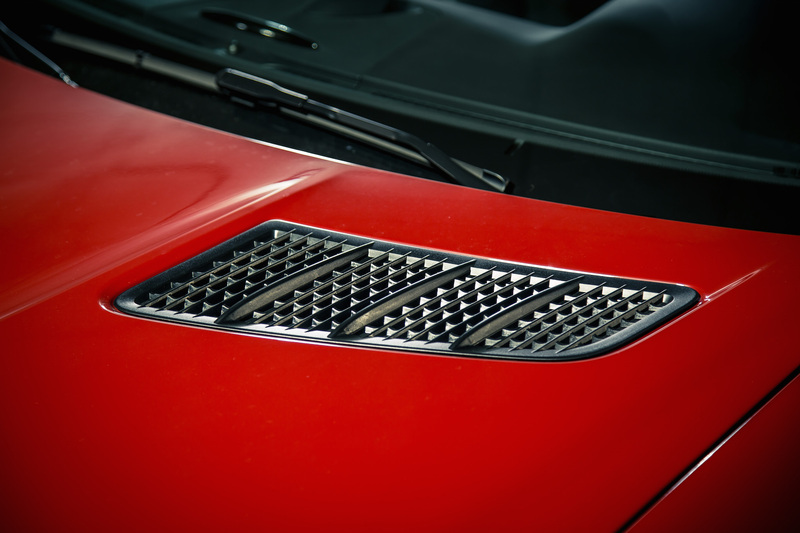 Flick the switch into Sport+, let the exhaust valves open, and the SLC 43 orchestra is backed up by low-rev turbo whooshes and high-end exhaust farts. Downshifts are also met with a satisfying quartet of pops and bangs, and with nine gears to cycle through, you get an audience that cheers for an encore every time. Out on the backroads, the SLC 43 comes alive. The body control is good, the structure is rigid, the suspension is on the stiff side, but it all fits the bill of a Sunday cruiser rather than a purebred track toy. 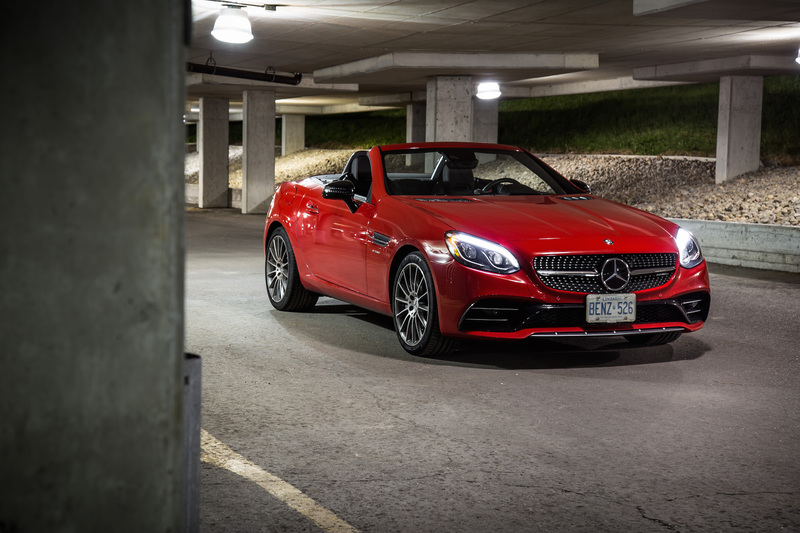 It’s got personality but dynamically, the SLC 43 is no Boxster beater. Instead, the Merc plays by a different set of rules. 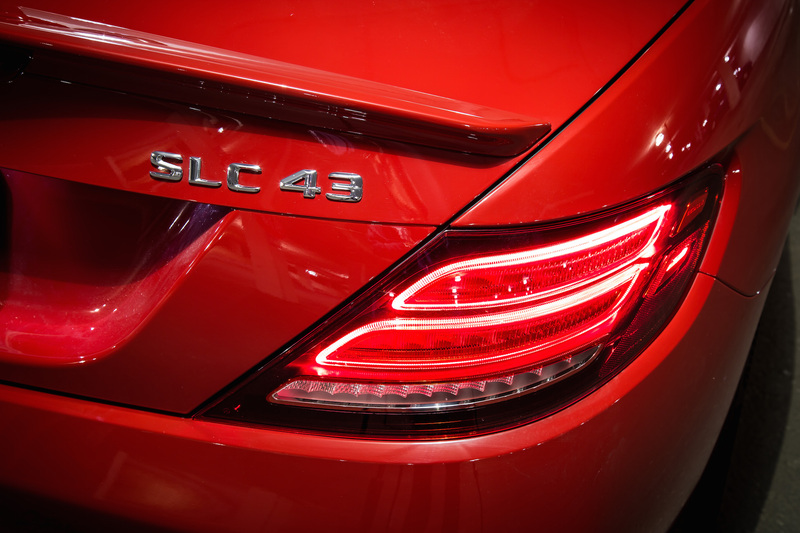 Refinement is what pushes the SLC 43 to the top of its class. 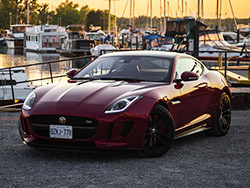 Rattles are absent, chassis flex is a no-show, panel fitment is excellent, and cabin insulation is top notch, taking the advantage over soft-top competitors like the Audi TT and Jaguar F-Type. When the sun finally manages to peer over the clouds, the electrohydraulic roof comes down in a matter of seconds, but you cannot operate it if the car is rolling at speed. 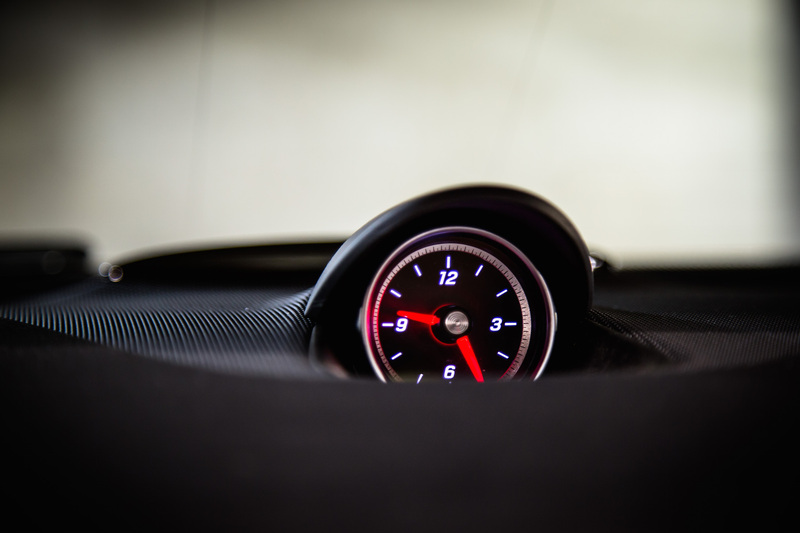 You can however pull the car to a full stop, operate the roof, and drive up to 40 km/h once the process has begun. That means you still have to make a quick pullover if the clouds decide to spit some rain on the leather. 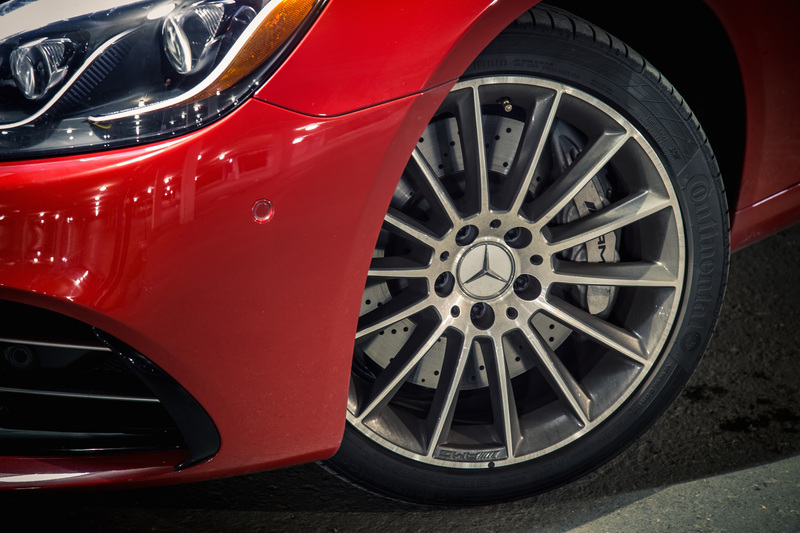 But even with the top down, wind turbulence is well controlled with a feature Mercedes calls AIRGUIDE, a triangular pair of windstops that hover behind the seat roll bar to block the inflow of wind. The panel is transparent instead of mesh, so it doesn’t block the view out the rear either. Combined with fans that blow hot air around your neck and three-stage heated seats, and the SLC 43 becomes one hardtop cruiser that you can use during any season of the year. Whether the roof is up or down, there is a lot of wiggle room for both occupants. We can’t say the same about items going in the trunk though. Space is limited to a few duffle bags or a light suitcase, nothing more than for a weekend adventure. When the roof comes down, there’s also a new separating cover that will make sure your groceries don’t get squished. As much as we love taking the SLC through the elements, we do a have a few minor nitpicks: the door sill is too high up for arm-out cruising, the seat could use a bit more lumbar support, the Magic Sky Control option that dims the sunroof is a little pricey ($2,800), and the petite gear shifter is oddly shaped like a hook, which could also double as a bottle opener. The red seatbelts are a nice touch though. The SLC 43 carries a starting price of $70,900 and with a light list of options on our tester, we saw a bill of $80,500. That’s a hefty amount for a two-seat roadster with just enough trunk space to fit a weekend’s worth of luggage. 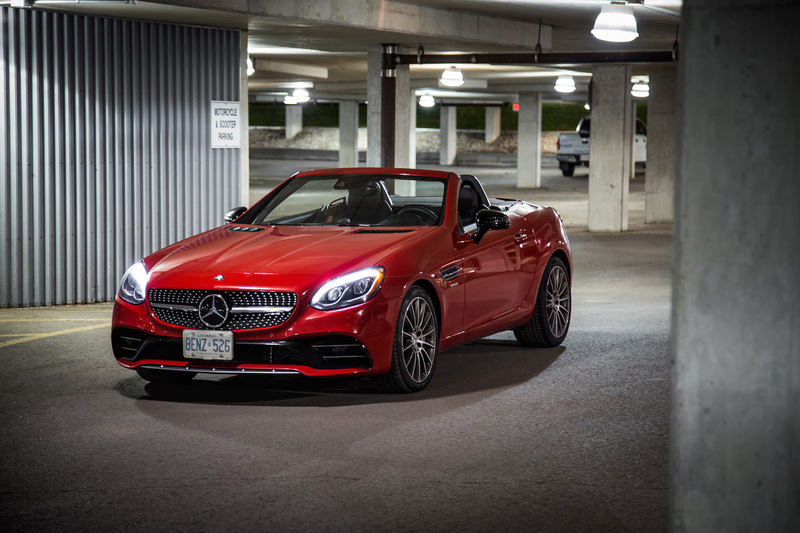 But if loud thrills and exhaust bangs aren’t your cup of tea, Mercedes will gladly sell you a 241-hp SLC 300, which is noticeably slower but $12,100 cheaper and more of an honest roadster that has its mind focused on open-top cruising. However, one look at the competition will make the SLC lineup feel like a bargain. 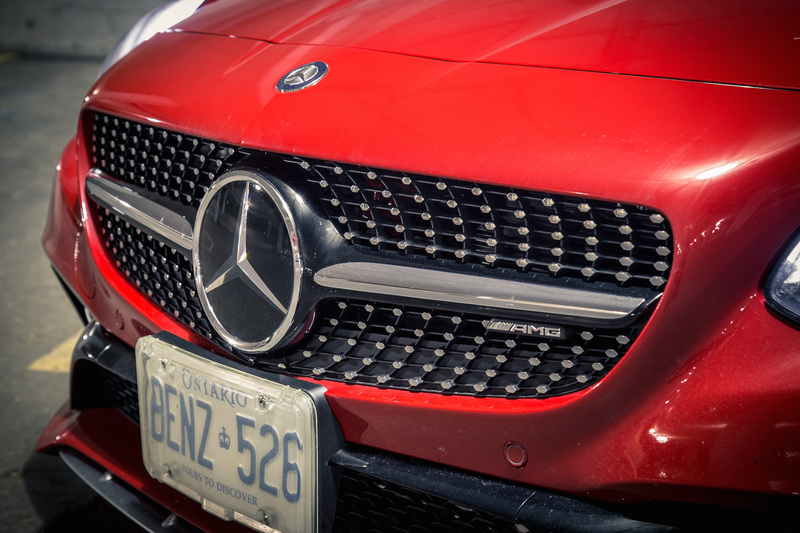 A similarly loaded Jaguar F-Type or Porsche 718 Boxster will set you back at least $10-20,000 over the Benz, and both of them have soft-top roofs and a similar amount of trunk (and “frunk”) space. Sure, one could argue that the SLC doesn’t hold a candle up to the Boxster’s track-ready standards (having four cylinders still bothers us, though), and it doesn’t sound as dramatic or look as gorgeous as the F-Type, but I’m okay with that. You see, I never imagined the SLC to epitomize either one of those qualities. To me, the SLC is more of a stylish weekend getaway machine. Rather than drawing appeal from buyers wanting to carve switchback roads, the SLC attracts an audience that wants a practical hardtop roadster that embodies the perfect ratio between comfort and performance, and all it takes is a few buttons to swap between them. Go ahead. 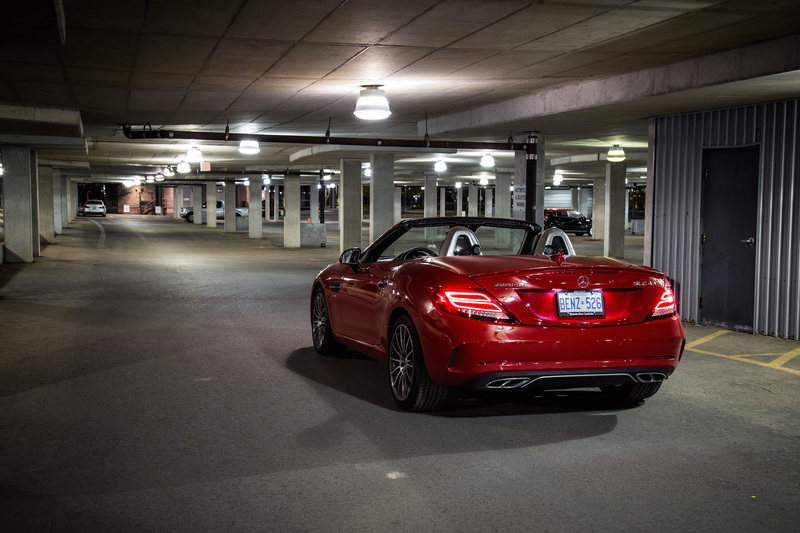 Let the exhaust flaps open, and pull that roof down. Cruising in style and refinement is what the SLC was made for, no matter the name, no matter the weather, and no matter the road. 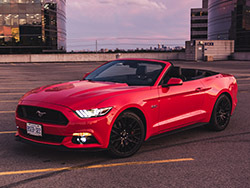 Review: 2016 Ford Mustang GT Conv. 2016 Ford Mustang GT Conv.